A modern farm can be a dangerous and unforgiving place. 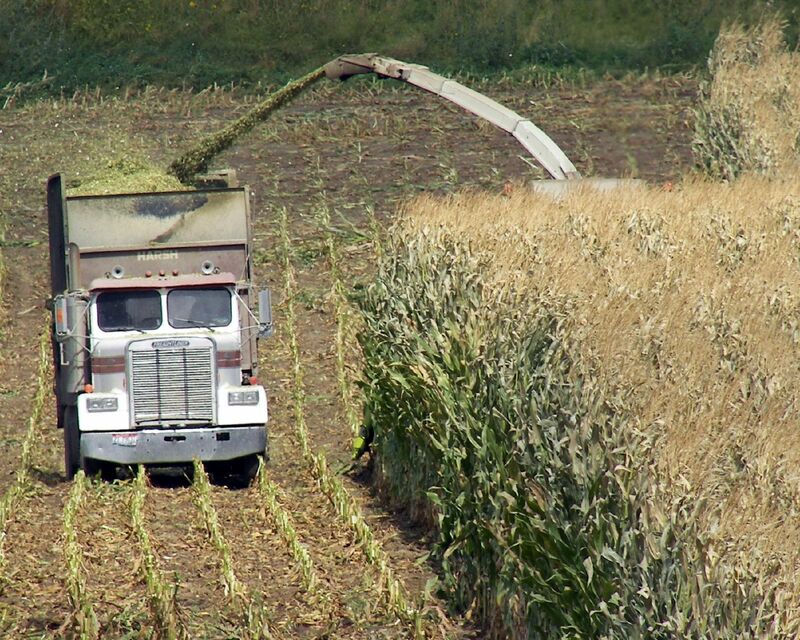 Late summer and fall are high-risk times as harvest operations ramp up quickly. In Wisconsin, we always have tight time windows to get hay, silage, and other crops harvested and put into storage to make it through the year. It’s that urgency and time pressure that can contribute to mistakes that often leads to injuries or even death. Machinery plays a major factor in serious farm injuries. Here are some ways to put safety into practice! The best way to prevent harvest season injuries is to invest prep time to get your equipment ready for the busy season. Adjustments and maintenance that improve safety also can also help maximize the quality and value of your crop. Consult your operator’s manuals. Are shields in place – on tractors, choppers, blowers, wagons, combines, and augers? Replace any questionable hydraulic hoses and know the status of any bearings and belts that you know might need to be repaired during the season. Many terrible farming injuries happen when a breakdown occurs. People get super-stressed or frustrated and then do something that they know might be dangerous. Also make sure to carry a fully-charged, 10-pound ABC dry chemical fire extinguisher on all machines including trucks. Minimizing the time you spend on the highway is always the best way to reduce hazard levels. However, that’s often not practical. As we roll into fall with fewer daylight hours upon us, make sure SMV emblems are bright and clean and that all flashers and lights are fully operational. Plan highway travel whenever possible to avoid busy rush times including the early morning commute and the rush to school. Evening times are high risk as people are in a hurry to get home from work or school and the sun gets low in the sky. Make sure you fully understand and comply with all other state and local lighting, marking, width, and weight limit laws. Many farms have hired workers who help with harvest – As an employer, spend time with them. Talk about your safety expectations. A few of our larger farms now publish a monthly or bi-weekly newsletter, often available in English, Spanish and other languages. Operator’s manuals and safety decals are a great source of information. The same is true if you’re hiring custom harvest work. As a farm owner and operator, you must create and expect a culture of safety. With everybody involved in the operation, demonstrate and walk through safe procedures. Show people what to do if something unexpected happens. Make sure everyone involved in the operation has a reliable way to communicate. But realize that if it’s a smartphone, steps need to be taken to make sure people are not distracted by phone use.